Poverty rising: A 2016 report into poverty in Australia show more families are living below the breadline. Photo: Stock Image. SPIRALLING costs of living are forcing more families below the breadline, with increasing pressure on our most vulnerable, including children a snapshot of poverty in 2016 shows. The Poverty in Australia 2016 report – prepared by the Australian Council of Social Service – shows nearly three million Australians now living in poverty. The report also found more children living below the breadline than in the past decade, a pattern of household poverty, which can be found in pockets across the Archdiocese of Brisbane. “We have doubled our food boxes in the last few years –so that is an indicator to me that there are so many families struggling to put food on the table,” Rosies Gold Coast co-ordinator Wendy Coe said. Rosies provides food boxes for Gold Coast families in need. The boxes contain meat, vegetables and tinned food. They are sold for $10 and $20 and many are given away. “The cost of living is just too high. We have a lot of single mums come in to get food boxes. Even couples are one-income families. They are finding it very, very hard to put food on the family table,” Ms Coe said. Growing need: Rosies Gold Coast co-ordinator Wendy Coe said the charity has been handing out twice the amount of food boxes than in previous years. The ACOSS report showed that despite more than 25 years of economic growth, 13.3 per cent of the population was living in poverty. That is 17.4 per cent of all Australians aged under 15 in poverty, an increase of two per cent over the last decade. ACOSS chief executive officer Dr Cassandra Goldie described the report which was produced with the support of St Vincent de Paul Society, as a “further wake-up call to the government to address the inadequacy of the lowest income support payments and bolster support to low income families through the family payments system”. “It is also a reminder that housing remains the biggest cost of living issue for households and must be addressed as a policy priority,” Dr Goldie said. Ms Coe (pictured) said the findings were “absolutely” true of her experience of struggling householders on the Gold Coast. 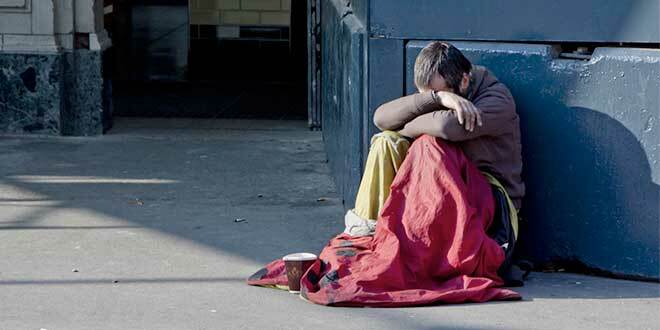 “People who are on Centrelink – there is not enough to even pay rent let alone pay food. And it is the kids that suffer,” she said. “All the studies show that their education suffers. Children who don’t get a good breakfast can’t concentrate as well in school, and their grades are affected. “There’s no extra money for school camps, for organised sport and participation which is an important part of childhood development and being part of living in the community. Rosies has more than 200 volunteers on the Gold Coast. There is a drop-in centre, and outreach teams provide breakfast in the park, supply snacks outside a local court house, and make prison visits.